Perfect for a 1 1/2 yr old! 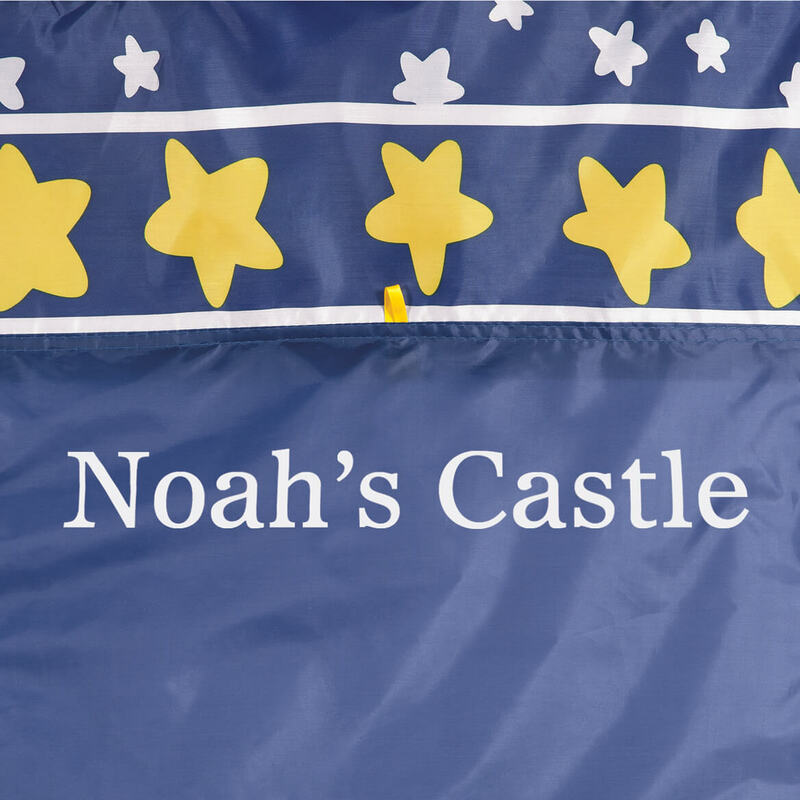 Grand son loves playing in his tent! If needed I would buy this item again as a gift. I bought it for my great grandson's 2nd birthday. I'm sure he'll enjoy it. 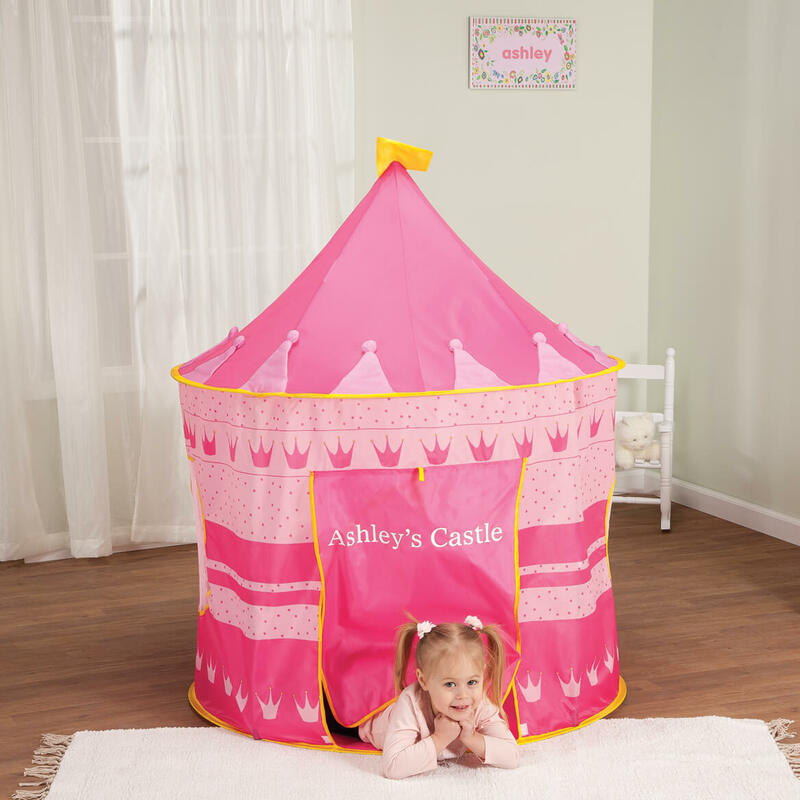 I bought this castle/tent in pink for my granddaughter, and she loves it. 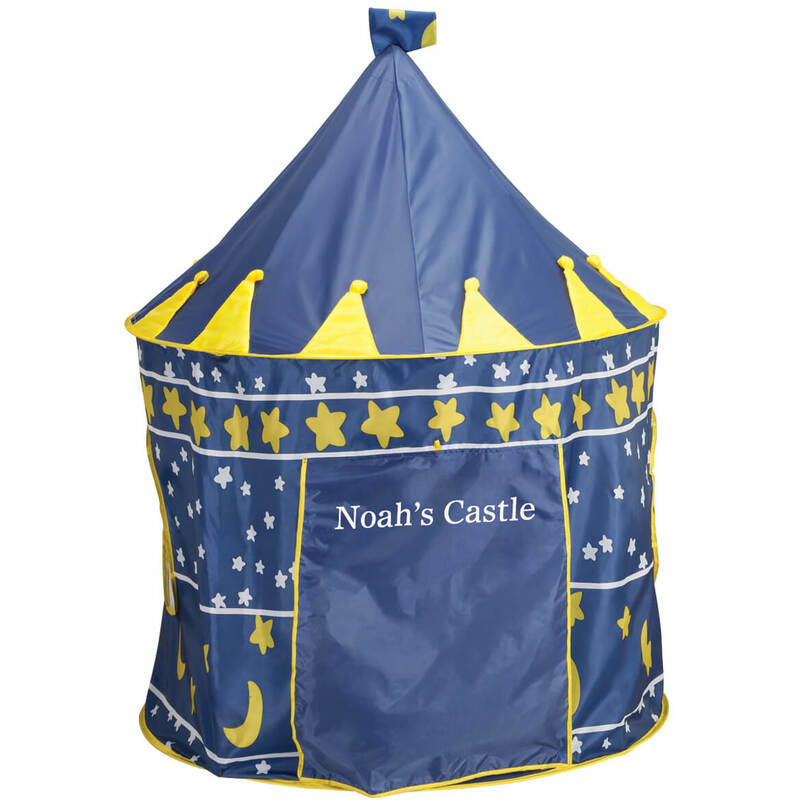 The castle/tent assembles easily, and is reasonably priced. She loves having her name on it! I wish I would have bought this for her sooner! We felt both little girls would love them. One in particular is a very,very active and creative three year old. I think my great granddaughter would love it. 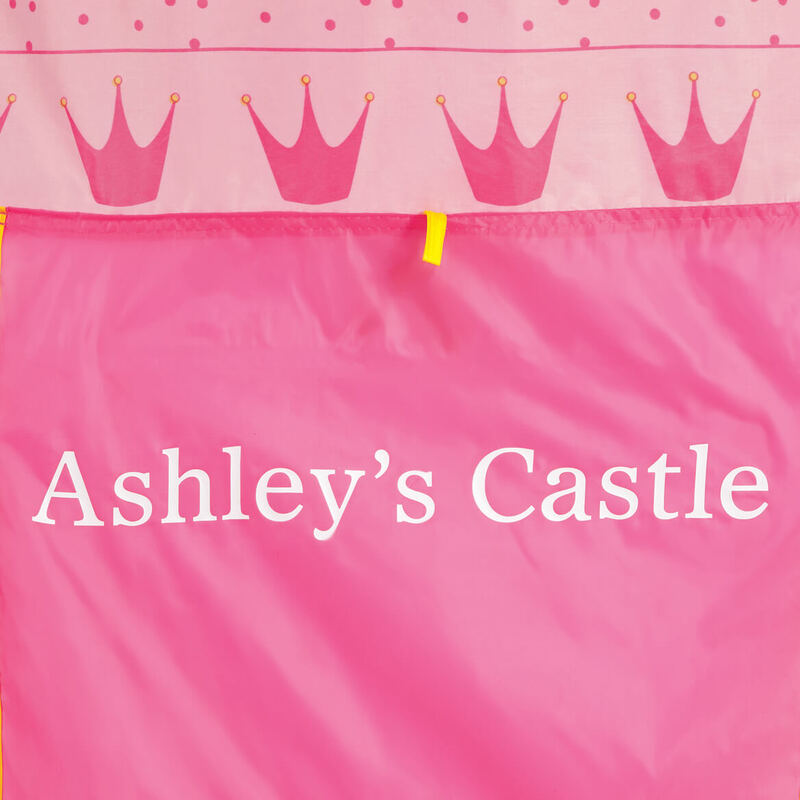 My little great granddaughter just loves castles and princesses. These well give her hours of fun playing. 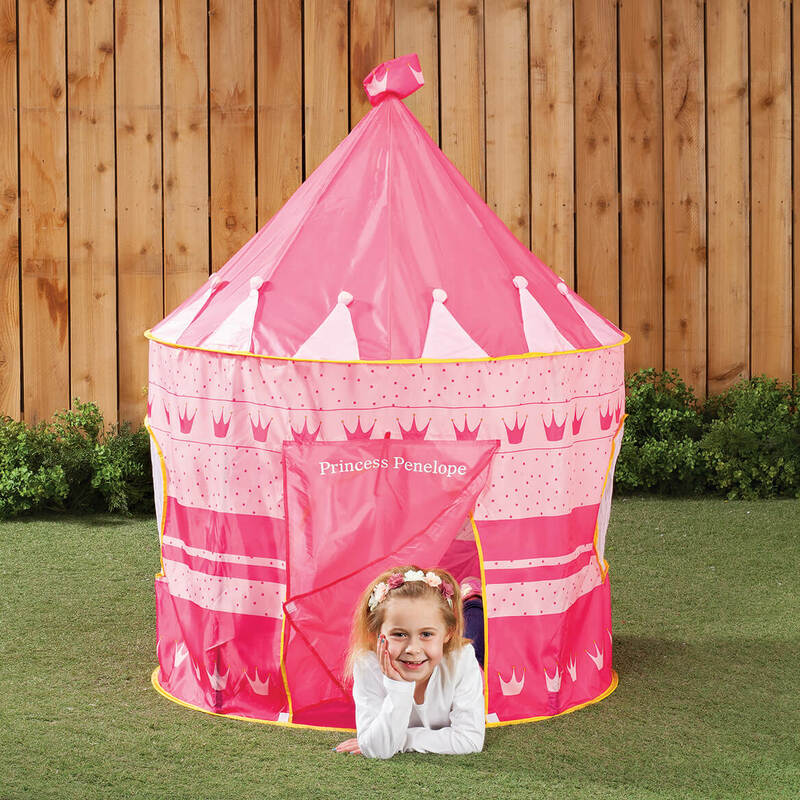 This pink tent will be perfect for my granddaughter. No more making tents with blankets in the family room! My grandson loves to hide and play in large boxes so I thought he would enjoy being king of his own castle. Pretty cool item for a couple young boys to play in & they are "all boys"; I just wish it accommodated more characters for personalizing so we could have put both of their names to have read, Jamison & Jack's Castle vs The Boys' Castle. They are soon to be 3 & 4 years old & play together well & don't have the room in their home for two of the tents. My granddaughter loves to play fort with blankets and towels. Now she'll have her own castle. For my nephew's birthday. I think he will really enjoy it. 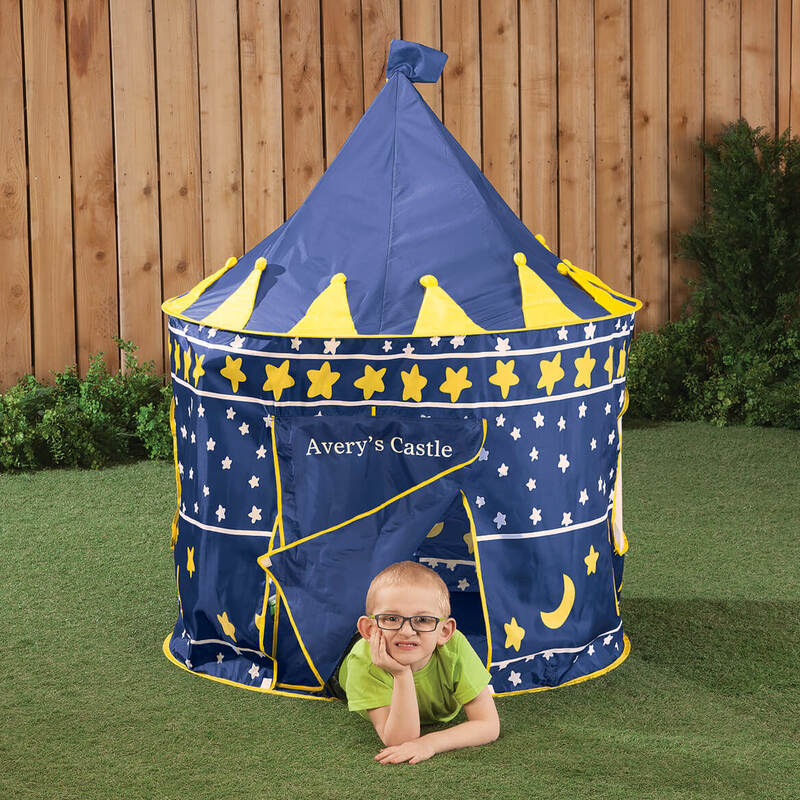 I've been keeping an eye out for a child's tent for my great grandson's enjoyment and this seem to be just what I'm looking for. I'm sure he'll get many hours of enjoyment from his own little tent. 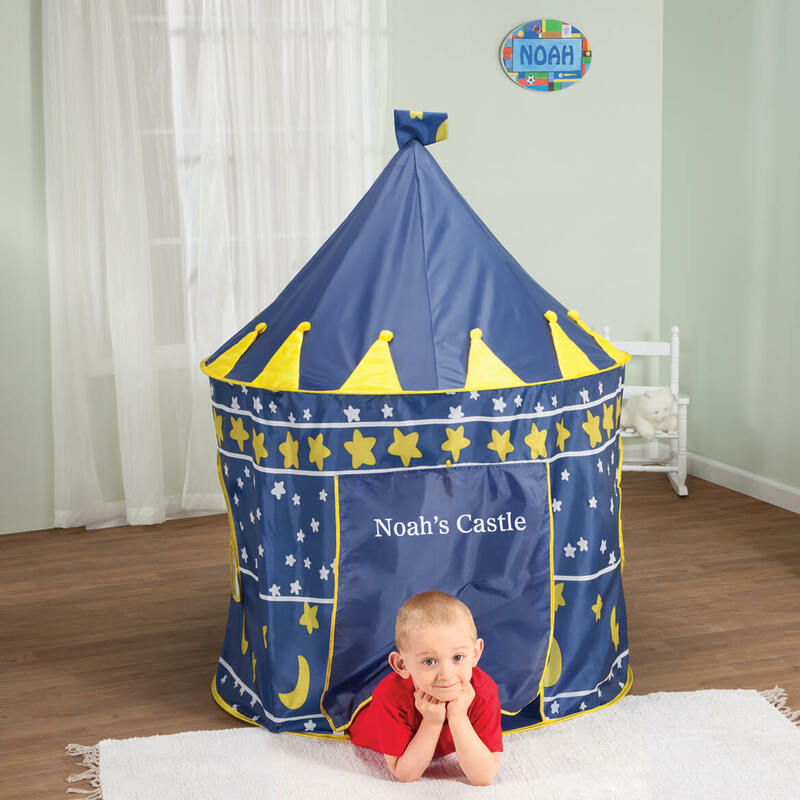 My Grandchildren love to play house and there always wanting to build a tent so this looked easier than using my blankets. It did not come with instructions. How do you the tent up? BEST ANSWER: Thank you for your question. Please contact our customer service and we will be able to assist you further. We apologize for any inconvenience. BEST ANSWER: Thank you for your question. Replacement parts do not come with it. We hope this information will be of help to you.